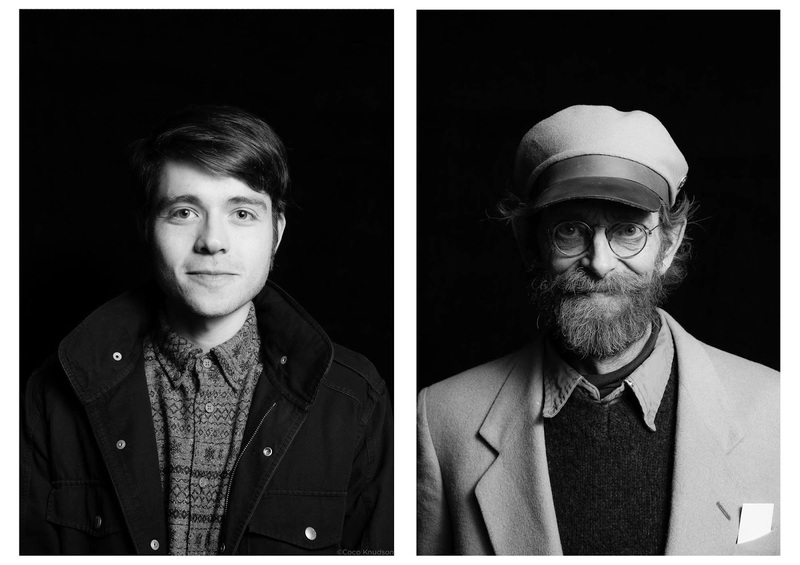 Michael Guillén: Zach, you're doing a double-whammy this year with Treefort. Retroscope Media has, of course, produced the "Dance Battle" promotional videos, and your short film View From A Pedal Buggy (2015) has also been included in the Treefort Film Festival (TFF) "Local Gems" showcase. Let's talk about the promo videos first. Can you talk a little bit about how they came about this year? It seemed to be a welcome embrace of Boise's dance community, which once again reflects that collaborative ethos that I so admire among Boise's artists. Zach Voss: In regard to Dance Battle, this was the next concept in a growing series of promo videos for Treefort. Each year it's an exercise for me to figure out some way to represent the Treefort identity in the video capacity, while also having continuity in the series, now in its third year. First year was a live action, second year was stop motion, and this year was a mix of green screen, live action, and scaling elements, largely referencing '60s era Japanese tokukatsu techniques, which bascially means camera effects. It was another chance for me to do something fun and different and experiment with a technique that I don't have a lot of experience with. Treefort 2015: Dance Battle, Round 1 from Zach Voss on Vimeo. Guillén: In terms of time invested, was this a shorter project than last year's stop-action? Voss: Absolutely! And that was by design. As much fun as it was to work with Hutt Wigley and do the stop-motion, my schedule has become increasingly more occupied and so this year's episodes were largely able to be produced in a single day, meaning production could occur in a single day where we'd go to a location, shoot the judges' portion, then flip the set, set up a green screen on-site, and shoot the dancing sequences in reverse. We'd do some pick-up shots for exteriors, but otherwise I would also shoot the photos that would serve as the environment plate that day as well. This whole series in total, we probably shot in five days, whereas last week's collaboration with Hutt took probably 30 weeks of shooting per episode. Treefort 2015: Dance Battle, Round 2 from Zach Voss on Vimeo. Guillén: How did you turn on to Hutt's work? Voss: I was looking for an animator because I wanted to do a stop-motion. Chaz Gentry mentioned to me that there was a guy in Boise—he thought his name was Mutt Wiggins—he'd never met him but he heard he was out there. I decided to find Mutt Wiggins and it turned out he was Hutt Wigley. He was a great guy, I pitched him on the Skyship Tour project, and we agreed to work together. It took off from there. This year it was a goal of mine to deliver something of equally high quality but also to make it a little more efficient and realistic for the crew. Treefort 2015: Dance Battle, Round 3 from Zach Voss on Vimeo. Guillén: Talk to me about your dancers, who you pulled in, and why? Do they represent the various dance troupes in Boise? Voss: Certainly. Yurek Hansen was the only dancer who appeared in all three episodes. In the first two he was costumed in different creature outfits. He represents Idaho Dance Theater. Then we had Brecca from Red Light Variety Show (RLVS) who appeared in the last two episodes, as did Ann McDonald in the final episode, and James Sharp, also from Red Light. Dusty is certainly not a member of the dance community but he can get down when he needs to. So we blended the more formal dance group with Yurek with the burlesque style of RLVS. Guillén: Shifting to View From A Pedal Buggy, I first turned on to that project through Andrew Ellis. Was it his idea and then he hired you? How did this documentary short come about? Voss: Both of us had the same idea separately. I introduced Andrew to Gregory Allen as a fellow Boisean, who Andrew then took an interest in. As my friendship with Gregory was developing, and I became more interested in filmmaking, it was something of a natural process to tie those two things together. When Andrew started talking to Gregory about fabricating a tricycle for his family, he thought, "Ah, this would make for a great story to follow the process of this thing." Andrew reached out to me and said, "Hey, I'm going to be working with Greg, he's making me a trike, and I'd like to document it." I said, "Great. I'm planning on making a documentary about Greg." So we teamed up. Andrew was basically the producer on the project for setting the stage and hiring Gregory to make a new tricycle from start to finish, which allowed me to show that process top to bottom. I applied for a few grants, all of which Andrew wrote a letter of recommendation or was attached to in some capacity and that helped secure funding for the project. I got a grant from the Idaho Film Office and the Boise Department of Arts and History. 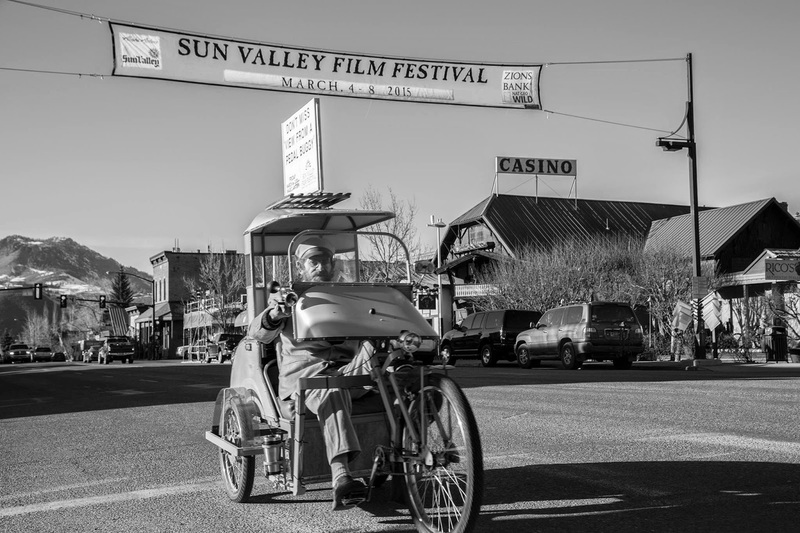 Pedal Buggy screened at Boise Conservatory Theatre, at the Sun Valley Film Festival, and I just mailed off the Blu-Ray to the Environmental Film Festival at Yale this morning. And then, of course, it will be screening at Treefort, with tweaked improvements. It's as sharp as it's ever been. Guillén: How was your Sun Valley experience? How was the film accepted there? Voss: Wonderful. Great. I had a smaller screening. I was at the same time slot as the Screenwriters Lab, which is a pretty big event. However, the people that did attend were engaged and a lot of them recognized me throughout the weekend and would take time to talk to me about it. Gregory also got some love from the locals. We were riding his pedal buggy around Ketchum and he was turning heads on people on the street and in their cars, in every direction. He enjoyed that—though removing himself from Boise—there was still this overwhelming interest in his process. Guillén: That must have been fun for him to notice. 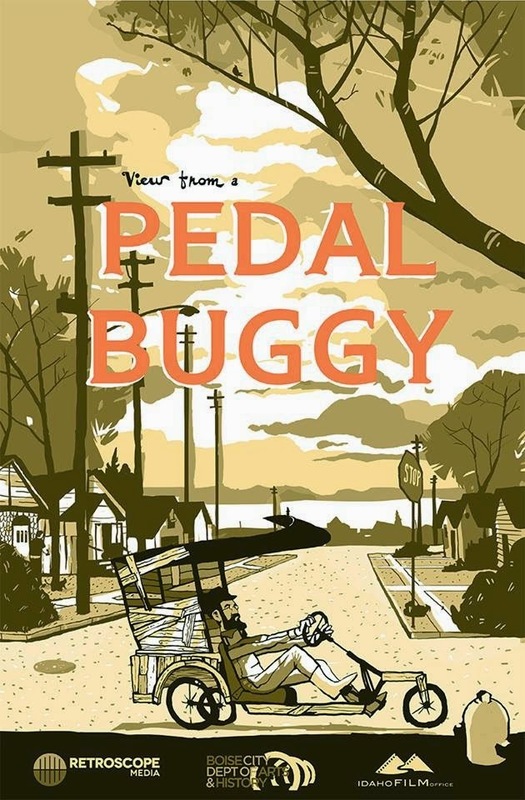 As I mentioned in my review of Pedal Buggy, the message that best surfaced for me from the film was its critique of a modern world that's moving too fast to notice its surroundings. As someone who doesn't drive and who mainly gets around by walking, such a seeming inconvenience has actually strengthened my powers of observation, which over time has become one of my main aesthetic practices. The aesthetics of observation are equally an ecological politic of which I'm further keenly aware. Those themes surfaced in Pedal Buggy and spoke to me. Voss: Good, I'm glad to hear that. There's a lot that Gregory covered in that 10 minutes that people can connect to in different ways. Guillén: How do you feel about being included in TFF's "Local Gems" showcase? Voss: I feel great! It's interesting to be as involved with both Sun Valley and Treefort as I am. On one front, my company Retroscope Media is producing commercial work for them and on the other front I'm participating as a featured artist, which is a good description of what I do and where I'm at in my career walking this line between running a company, doing commercial work, but also aspiring to be a filmmaker and pursuing that. I love the fact that there are these forums for me to do both. View From A Pedal Buggy screens at 12:40PM on Saturday, March 28, 2015, at The Flicks.